On one of television’s popular crime shows this week, there was a subplot in which the protagonist had to deal with his father-in-law being diagnosed with dementia. The father-in-law, who could no longer live by himself, refused to move into a retirement residence and could not live with his daughter due to her limited income. So, the protagonist offered to pay for a larger apartment that his sister-in-law and father-in-law could share. This kind of fictitious scenario is more often becoming a reality in many people’s lives. Life expectancy has increased for both males and females, but people who are living longer are not necessarily living healthy lives. Someone who is diagnosed with dementia can live, on average, for another eight to10 more years. Their children are not always in a position to help financially, and if they have to reduce their work hours or quit their job to take care of a family member, the financial impact could be devastating. This is why it’s crucial for individuals to ensure they have enough money set aside to pay for care should the need arise. In Ontario, the cost for room and board at a long-term care facility can be as high as $2,500 per month for a private room. If only half of a couple is in a long-term care facility, they will not be able to fund the expense by selling their home. If they would rather stay at home and hire someone to help out, the cost can be as high as $25/hr. If round-the-clock care is needed, the cost can be quite prohibitive. Many Canadians mistakenly believe that some or most of their healthcare needs will be covered through government programs. 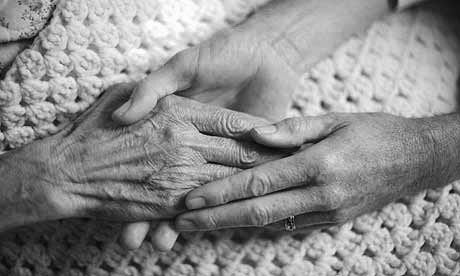 Typically, emergency services are provided under the Canadian Health Act; however, services needed due to the effects of aging are not. The list of services covered under this Act varies in each province. Long-Term Care insurance is one product that can be used to relieve the financial stress that can be brought on by a sudden and prolonged illness. You can receive the benefit when you are unable to perform two out of six activities of daily living, or have a cognitive impairment. Long-Term Care insurance will provide you with a weekly or monthly payment. You can choose a policy that will reimburse you for your expenses, or one that pays a set amount each month. As you get older, the cost of purchasing Long-Term Care insurance will become more expensive. However, if you have to make a claim, the financial benefit you’ll receive will usually far outweigh the cost – and the peace of mind you’ll give yourself and your children will be priceless. Not sure how to get started? I can help. Marcy Ages is a passionate, detail-driven provider of financial planning services, including investment management and tax preparation. As founder of The Care Network, Marcy also works with other service professionals to support her high-net-worth clients with their estate planning and assisted living issues. Thanks for sharing such topics with us which in turn benefits people like me. After finishing the article, I am well aware of the reasons for taking a Long Term Care Insurance at an early stage of life. I’m glad you feel that you’ve benefited from reading this blog. Many people will only realize how important this issue is for them when it’s already too late. It is very good that you are making sure to educate yourself now about these matters.